A regular reader from Singapore brought to my attention this article from the Straits Times (named for the strait that separates the island from the Malay Peninsula) about the TLM community there, and the presence and use of Latin in their small, multi-lingual nation. “Latin is also alive in St Joseph’s Church in Victoria Street. 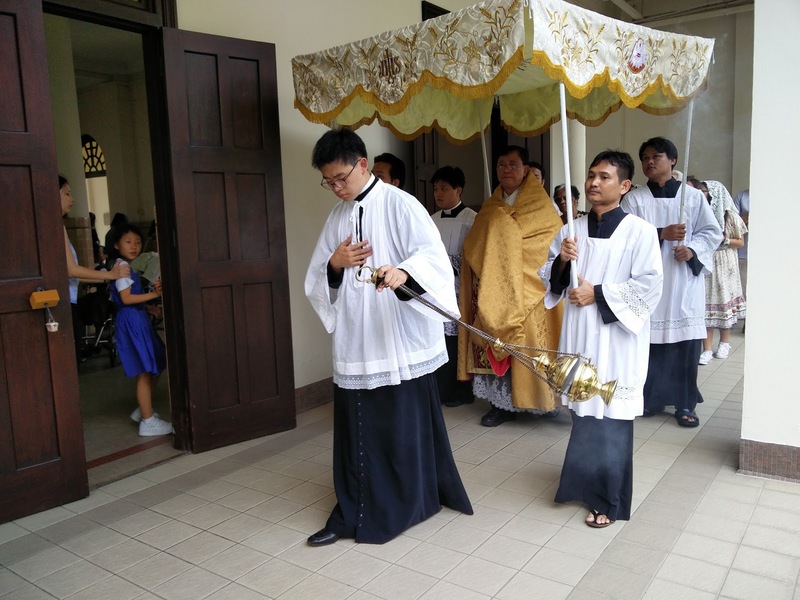 Every Sunday, some 200 worshippers, most of whom are Singaporeans, fill the pews of the 110-year-old church and sing out phrases such as Asperges me, Domine, hyssopo, et mundabor - Thou shall sprinkle me with hyssop O Lord, and I shall be cleansed. 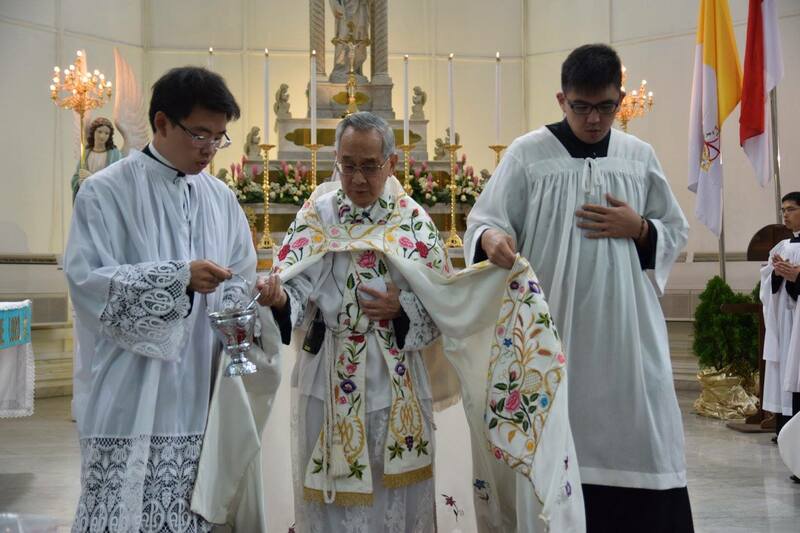 ... most of the 200 congregants of Singapore’s sole Latin Mass, which started in 2008, have a basic understanding of the language. The service includes singing Gregorian chants and reciting liturgical responses and prayers. Like the other Mass attendees, he is also enamoured with the way in which the prayers are chanted. ‘The words are taken directly from the Bible, then the music is weaved in to allow the singer to emphasize and highlight words and concepts of theological significance, thereby elevating the level of prayer. We get to sing the same songs that were sung by our Catholic predecessors 1,600 years ago,’ he noted. The Latin Mass Community of Singapore has regularly contributed to our NLM photoposts, for which we are, of course, always very grateful; their presence is one of many beautiful signs of the true universality of our Catholic liturgical tradition.